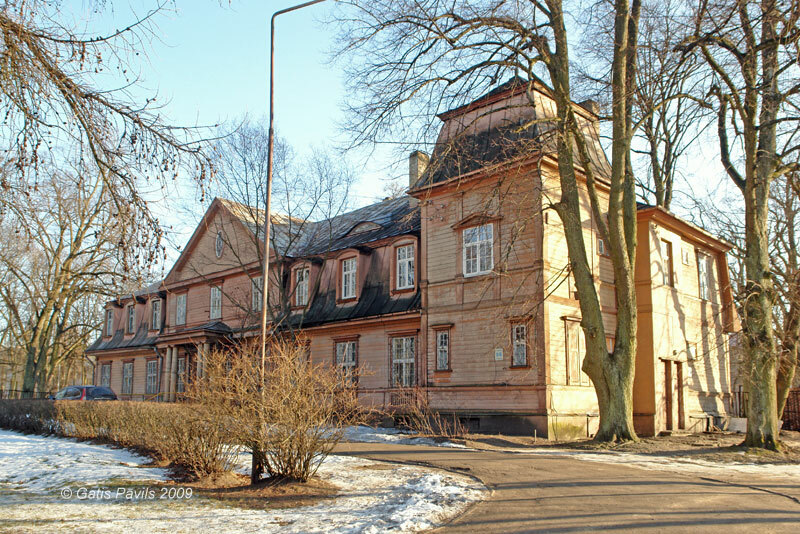 Up to this day in the area of Riga there have been preserved circa 42 - 44 historical manor houses of Riga householders and aristocrats. Each has got its own, interesting history, but here have been examined 10 especially interesting existing manor houses - each with its own peculiar history, values of art and architecture. 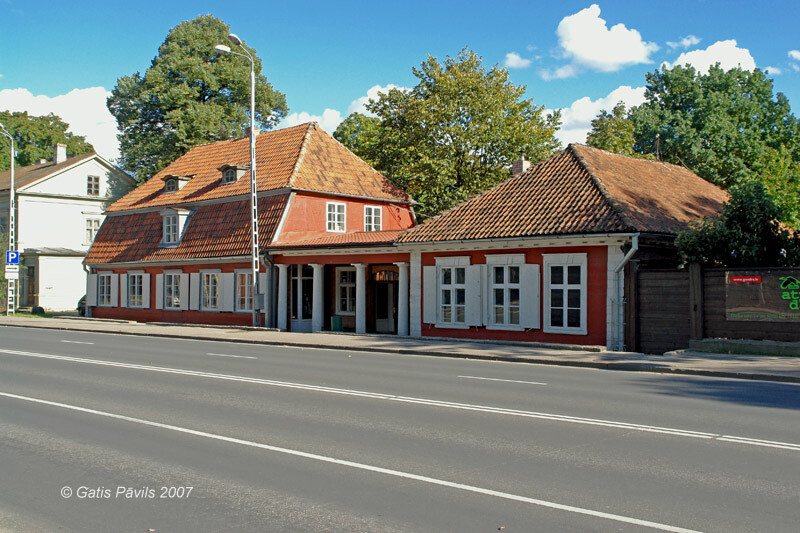 One of the most beautiful elements of the unique cultural environment in Kalnciema Street is complex of Hartmann manor houses. 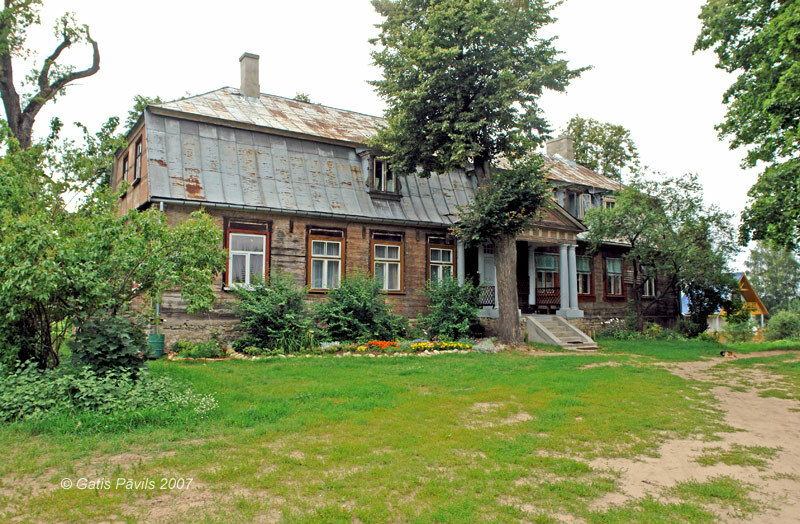 The old residential building is built in 1786 or shortly before. 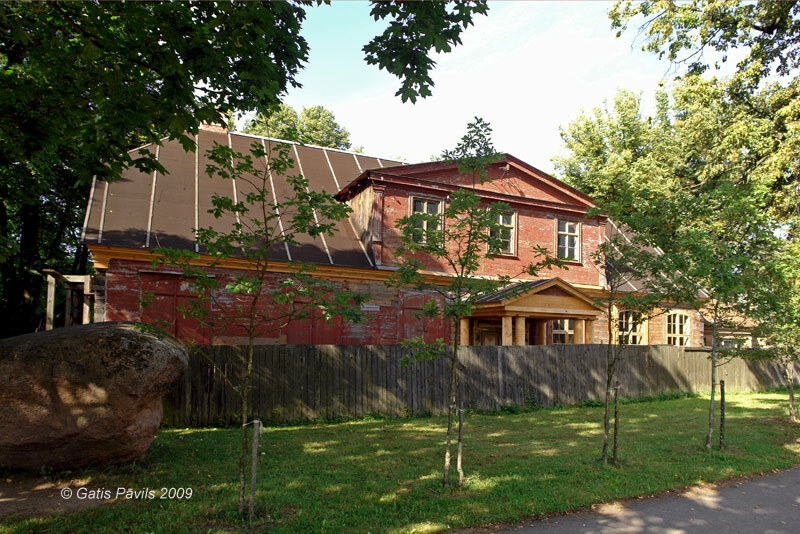 Shortly after 1806 next to it there was built a ballroom - absolute necessity for the representation needs of the active social life of owner of the manor house Jacob Kollins. Barocco style wooden manor house is adorned with wooden collonnade. Contemporary Neo-Rennaisance style Svarcmuiza mansion is built circa 1850, but the history of manor is much longer and it has formed one of the most interesting historical suburbs of Riga - Agenskalns. Exceptional manor house is Bisumuiza built in Neo-Classicism style in 1820ies. It is made especially valuable by nearby beautiful landscape park. 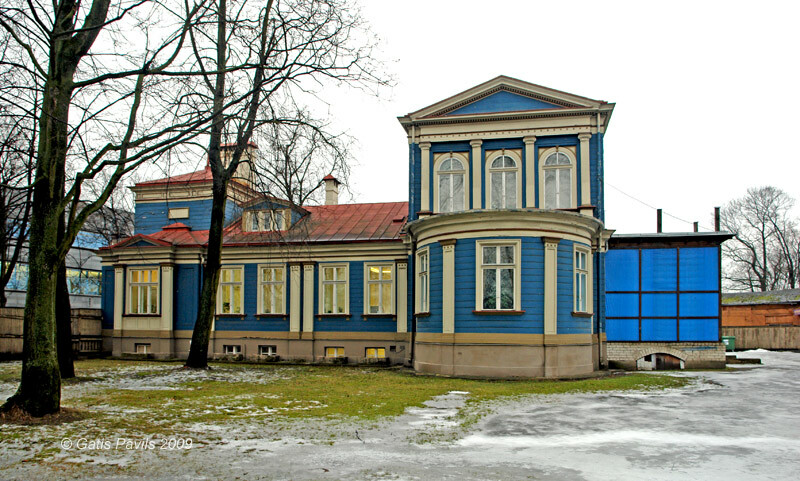 One of the most exceptional barocco style wooden buildings in Riga is Nordeki manor house built shortly after 1760. Nowadays it is undergoing careful restoration. 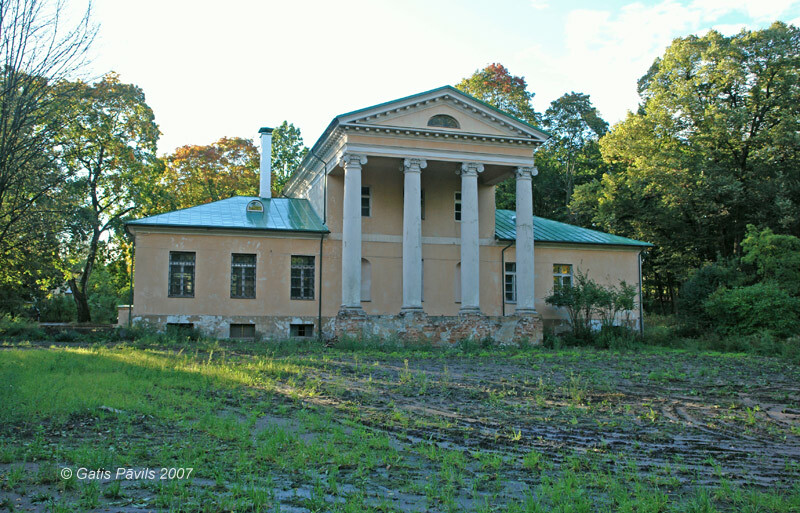 Strazdumuiza is one of the best known and most beautiful manor houses in Riga with long and rich history. 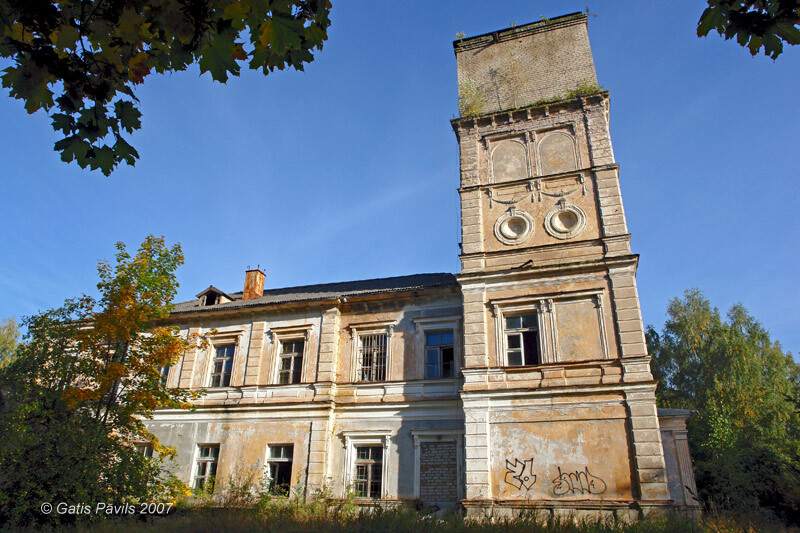 Strazdumuiza new manor most likely is exactly the oldest building in complex - built in 1770. Mansion in Zeluste manor (M. Juglas 43). Well tended and elegant at beautiful location next to Jugla Lake there stands Zeluste manor. Manor house has been built in early 19th century in Neo-Classicism and Empire style and belongs to a larger complex of manor house buildings. 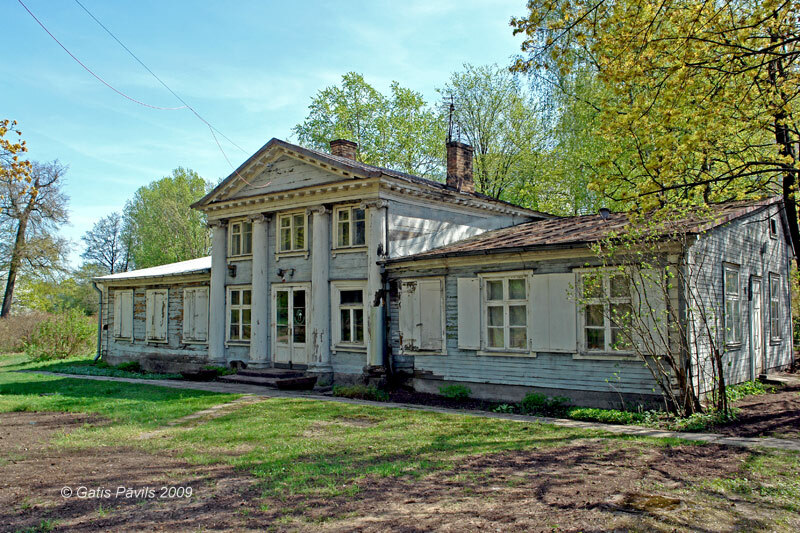 One of the most outstanding monuments of manor house architecture in Riga is Kleisti manor house - beautiful wooden building from from the second half of 18th century which has been built here at the place of former one which was destroyed during the Great Northern War. Neo-Rennaisance style Suzi palace is located at Kisezers Lake. The beautiful palace up to recent time was little known because for long centuries it was located in area of military bases of different powers. 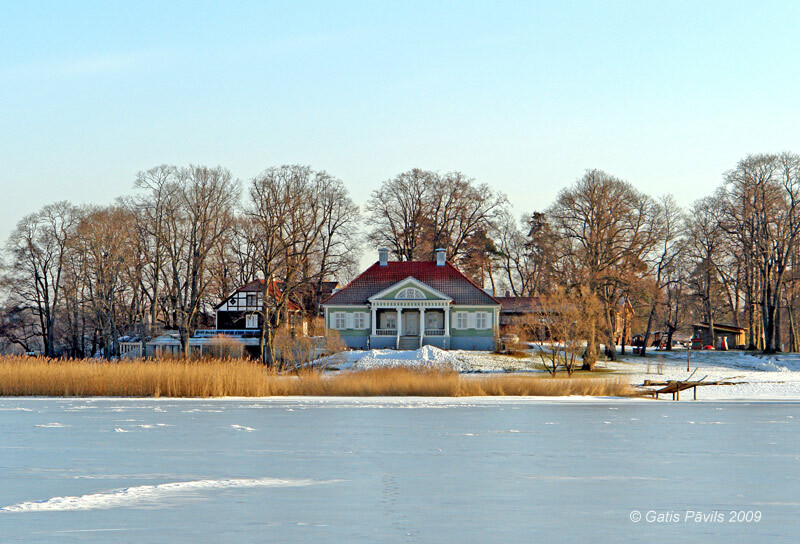 This elegant wooden manor house is built in 1843. It is made unique by peripter - collonade encircling three facades of the building. Volfsmits manor house, block in Vilips street. 2009.05.03. 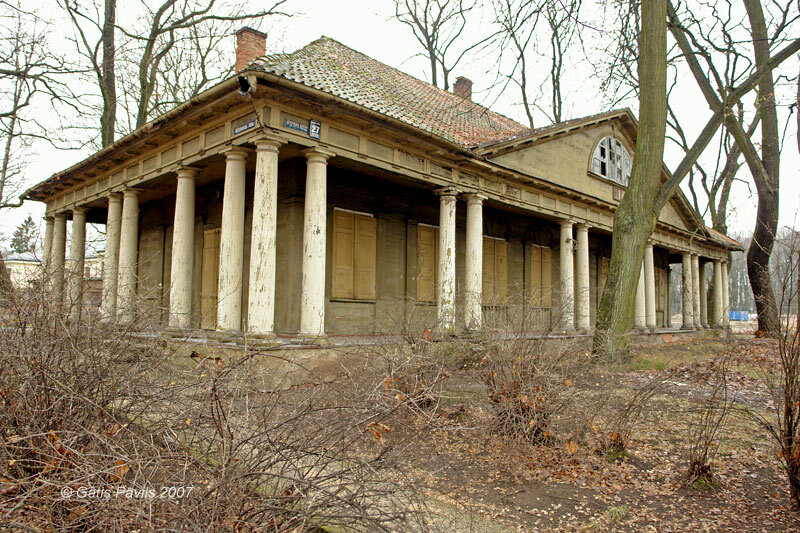 Neo-Classicism building - wooden manor house with beautiful columns, built before 1824. Details of columns have been preserved exceptionally well. This is one of three manor houses in this historical manor centre.